Amazing cushioning in heel and forefoot provided by Boost EVA foam. Great fit that hugs through the mid foot with plenty of room in the toe box. The upper seems highly durable, and should last over 500 miles. None that I can find yet. The Adidas Supernova Glide 7 is a highly cushioned smooth ride ready to take your enjoyment of daily mileage to the next level. Runners looking for a well cushioned, neutral, responsive shoe that can handle high mileage and wear and tear without breaking down. Heavier runners will appreciate the durability of the Boost midsole which doesn't compress as much over time as other midsole materials. The Adidas Supernova Glide 7 is a well cushioned neutral shoe that is designed to be used as a daily trainer. 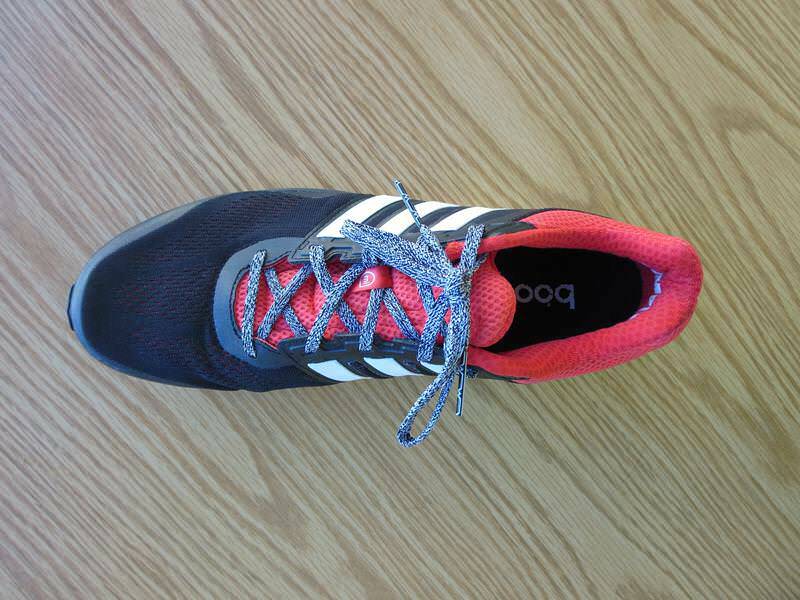 It packs a great deal of cushioning for a 10.7 ounce shoe and it responds well to faster paced training runs and longer racing. If you’re looking for one shoe to do it all and last past 500 miles, the Glide 7 may be your answer. Did I mention that I’m a bit taken with the Boost midsole material? 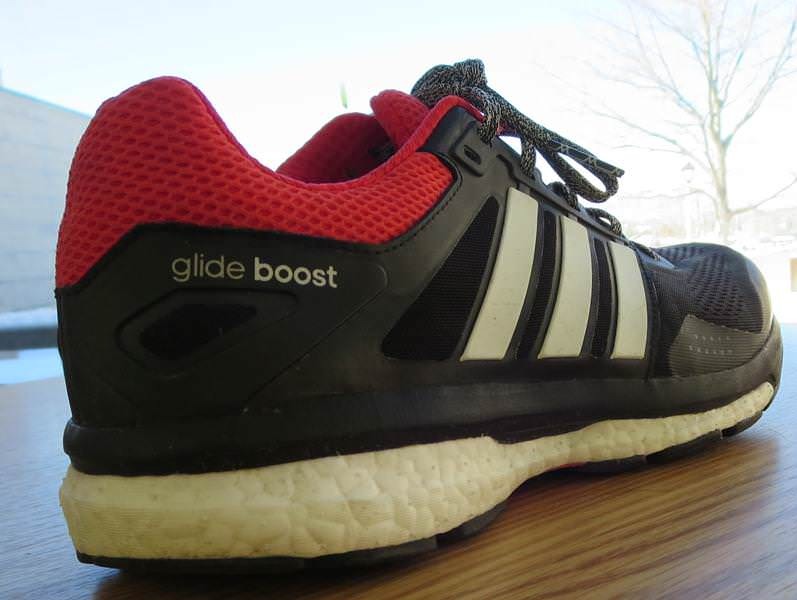 In the past I had found Adiprene, Adidas’ flagship EVA to be a bit to firm for my liking and with the Glide 7 they combined the two to create a pretty incredible ride. An underfoot layer of the firmer Adiprene is bolstered by the softer Boost EVA to really provide the perfect amount of cushioning one would want in a daily trainer. The shoe has a fairly high stack height (27mm to 17mm) and a 10mm heel drop, but I never felt unstable. What really shines about the Glide 7 Boost is the transition of the shoe, aided by an almost full length Boost midsole, from the heel/ mid foot to toe off. I was initially concerned that the plastic torsion system in the mid foot would prohibit natural movement, but it really wasn’t noticed. Instead, you get a smooth ride regardless of your foot strike. The outsole is one of the best in the road shoe business. 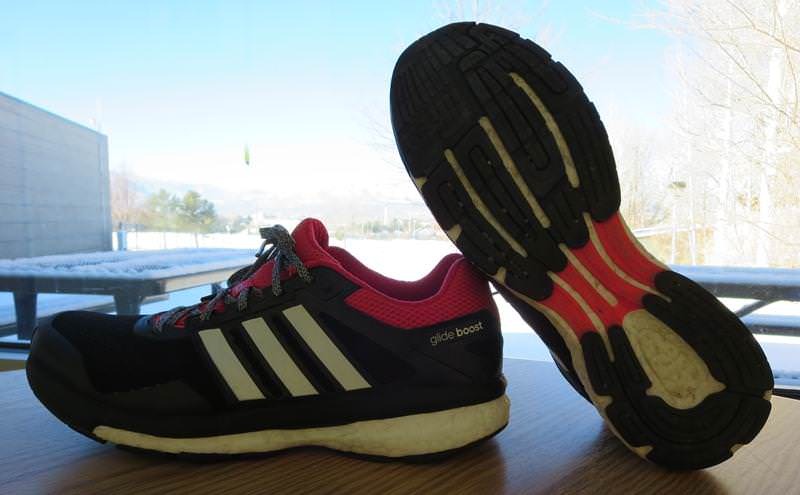 Adidas uses Continental tire rubber in the heel and forefoot which provides great traction on a variety of surfaces, most notably on wet pavement. 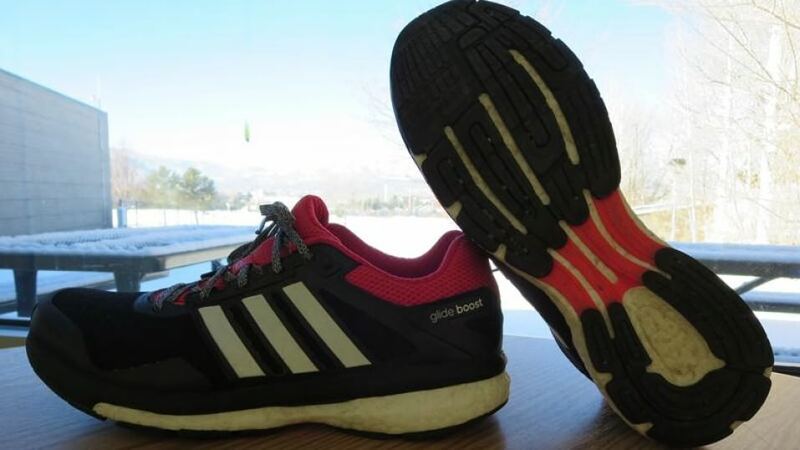 Throughout this fall and winter, running on wet streets and through snowmelt, I noticed that I had much better traction on the roads with the Glide 7 than other daily trainers. The outsole almost feels sticky on wet pavement and this durable tire style rubber barely shows any wear after about 170 miles. 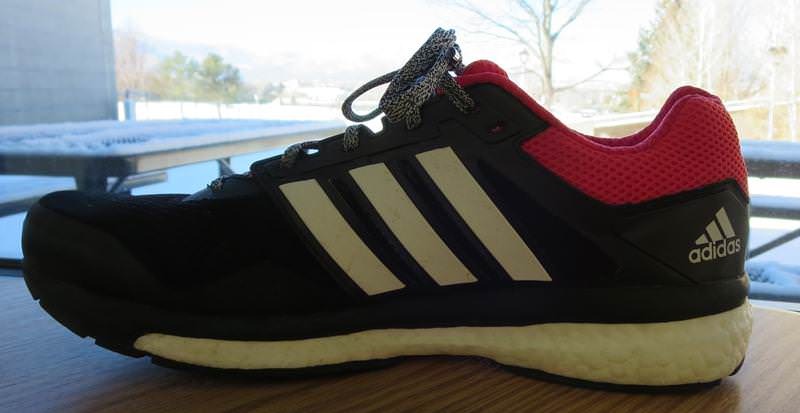 Adidas seems to have taken some of the upper design specifications directly from the Energy Boost, a shoe that has sold very well for them and fits a variety of foot types. The midsole and heel are reinforced by flexible rubberized welded overlays which move with the foot but provide a nice feeling of structure. The toe box features a Formotion Mesh material which is flexible and accommodates those who appreciate a little more room in the toe box. Adidas employs a gusseted tongue to function as a sock liner but it also keeps pebbles and dirt out of the shoe. Around the heel collar Geofit technology molds to the shape of the ankle and the Glide 7 became more comfortable the more I ran in it. Overall this is a well fitting, flexible, and very durable upper meant to extend the life of a shoe when combined with the Boost midsole material. The best design decision that Adidas made with this shoe was to make the forefoot a bit wider than they have traditionally, and extending the Boost midsole material all the way to the ball of the foot. The way this shoe rides is almost unparalleled, and despite the 10.7 oz weight, the extra cushioning was always appreciated at the end of a long road run. The Glide 7 is the best high mileage neutral trainer I have tried in quite awhile, and it will appeal to runners who enjoy a more traditional style running shoe with a higher heel drop, smooth transition, and great cushioning. The upper seems very well constructed and the flexible mesh toe box will accommodate a variety of foot types. If you are looking for a high mileage neutral trainer to handle anywhere from 80-120 miles per week without going dead in a month, the Glide 7 deserves a hard look. 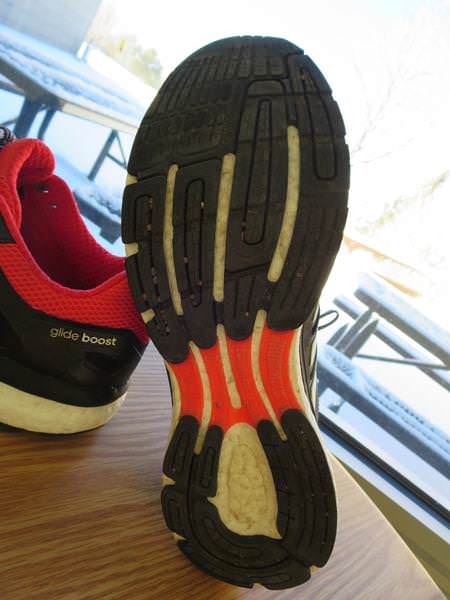 The added bonus is that the Glide 7 features Boost EVA without the astronomical price tag of the Energy Boost, but the fit and feel are generally the same. We thank the nice people at Adidas for sending us a pair of Supernova Glide 7 to test. This did not influence the outcome of the review, written after running more than 50 miles in them. Do you guys know this site is doing copy of everything you write? http://vivercorrendo.com/adidas-supernova-glide-7-boost-avaliacao/ ?? All the shoes and exact same words in Portuguese! Wow! Thank you Rui, what a discover! In 7 years we have been reviewing shoe we often encountered copies and plagiarism, but this is probably the worst. Thank you again for your comment. Is this equivalent to the new Brooks Launch 2 from a feel perspective? How well does these shoes work for speed workouts? I run in Hoka Cliftons but got these for walking around, walking the dog..etc. I have an Aetrex orthotic in it too. These have got to be the most comfortable shoes ever. I tried Vomeros, Brooks flagship cushioned shoe. Not even close compared to these as far as the roomy fit. Roomy toe box, great cushioning. Superbly constructed. I bought a 2nd pair I love them so much. They look great also. 5 stars. I just bought the Glide 7 and I choose it because of its good toe box that gives enough space for my problematic toes and nails. Very nice and durable shoes.. i almost bought the ultra boost but the black spiky rubber on the ultra wears down a lot, said the retailer and some reviewers… but please make a review also on the ultra boost bro.. tnx.. The boost 6 used exactly same technology as glide 7 except for the outlook and also toe box. The gb7 having a wider toe box. Alan, the Glide 6 uses Adiprene only as the sole unit. This new one uses Boost EVA sole. Bought mine today and had a test run just now. Had to buy one size smaller than usual. Shoes ride nicely and first touch with the boost felt great! Nice shoe all and all! Can’t say any bad thing right now. Next summer i’ll be pounding asphalt with these and kinvaras. The 7s are on sale right now on the Adidas website. Picked mine up for 90 a pair. I see the Glide 6 at discount prices. 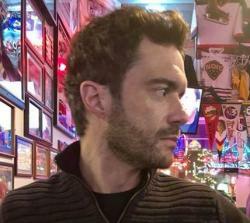 Is there a big difference? I also love boost and hope for a full boost midsole with a more traditional upper like the Glide. I thought the Energy Boost was a bit narrow in the midfoot. And I don’t like the hard plastic of the Energy Boost 2.0. Oh well.